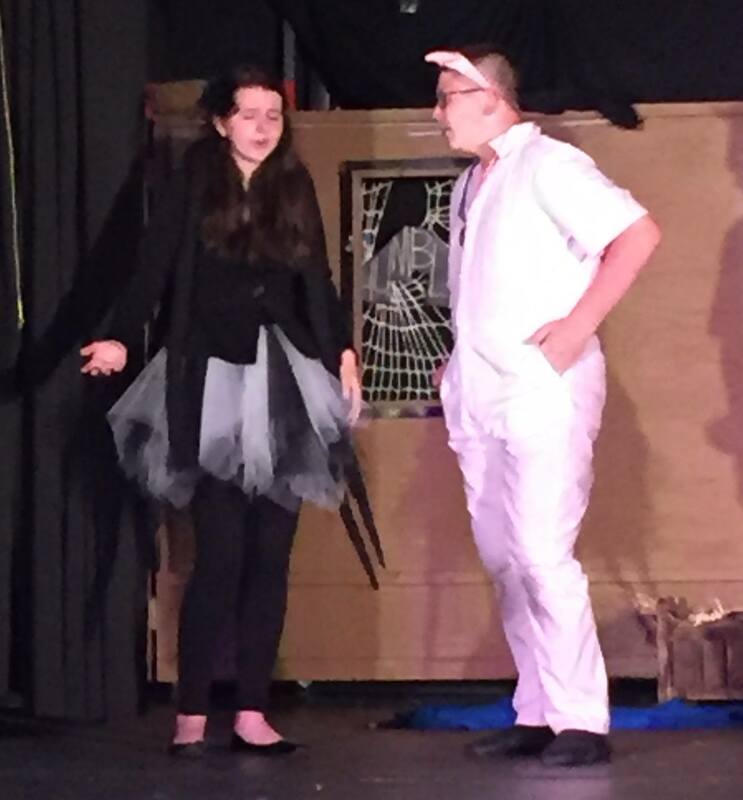 A pig and a spider. Who’d have thought a friendship between these two animals would change the lives of millions of kids throughout the world? It certainly changed mine when I first saw the animated film, Charlotte’s Web, based on the story by E.B. 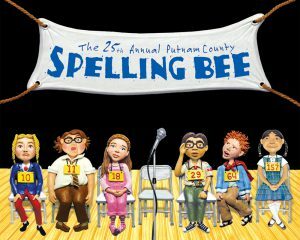 White, and heard Debbie Reynolds utter the words “Greetings and salutations!” With a star studded cast of voices, this film taught me about death, moving on, and hope, making it a classic in children’s cinema. Artistic Synergy of Baltimore‘s latest venture, Charlotte’s Web the Musical, a staged version of the beloved story, with Music and Lyrics by Charles Strouse and Book by Joseph Robinette, with Direction by Melissa Broy Forston, Music Direciton by Michelle Harmon-Bruno, and Choreography by Jennifer Otero, may not be a carbon copy of the cartoon I watched repeatedly, but the story is still familiar and the lessons taught still remain. 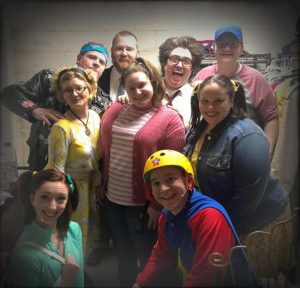 Melissa Broy Forston takes the reigns of this first attempt of children’s theatre by Artistic Synergy of Baltimore and is more or less successful in the attempt. She has gathered a beautifully diverse cast of characters of dedicated blooming actors who give their all. Forston keeps the story moving and the use of a minimal Set Design (also by Forston), allows for quick scene changes and smooth transitions. 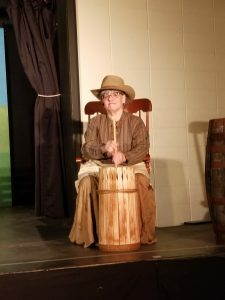 The actors make their entrances and exits on time and, though they may have a lot to learn, Forston seems to have put them on the right path. 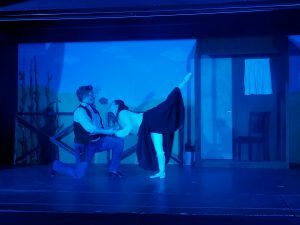 Choreography by Jennifer Otero is fitting of the production and the actors with whom she is working and the actors seem to have picked up the simple, but appropriate dances and perform them with gusto and hit their marks. Michelle Harmon-Bruno takes on Music Direction and, though contending with canned music that sounds straight out of a 1980s video game, she still has the young cast singing their hearts out and interpreting cute songs such as “Eating,” “Who Says We Can’t Be Friends?” and “Don’t” as only children can. Aside from a few hick-ups and microphone issues, the ensemble performs the music well and look to be having a great time doing so. Concerning the performance aspect of this production, overall, the young ensemble does well with this piece and seems to understand the story they are telling and though there is much more to learn, these fledgling actors seem to be well on their way, including Jasmine Artis, playing Goose who has a booming voice and good stage presence, and the cool, well-rehearsed Madi Anne Cosden, who takes on the role of Templeton, the seemingly selfish, curmudgeon barn rat who ends up caring more than he lets on. Chloe Davies takes on multiple roles including Owl, Reporter, Concessionaire, Judge, and Announcer and makes the most of all of the roles. Among these aforementioned actors, the entire ensemble deserves kudos for a job well done! Taking on the role of Wilbur is Simon Gusso. 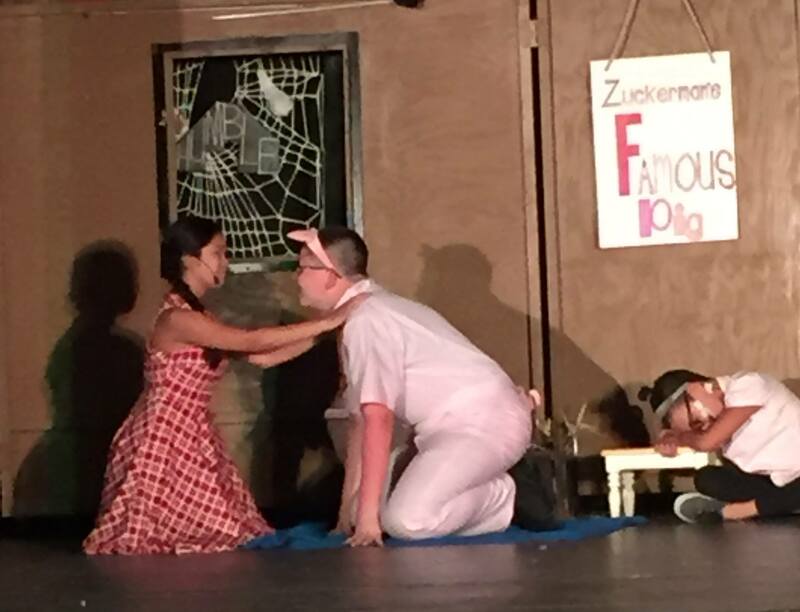 Gusso goes all in with this role, taking on the persona of the young pig who has no control over what happens to him but learning how to deal with whatever is thrown his way. He knows his lines and, what’s more, has a good comprehension of his role and gives a commendable performance. Taking on the titular role of Charlotte, the gentle spider, is Alexis Arthur and she certainly makes this role her own. She portrays Charlotte with an authentic gentleness that is required of the character and, vocally, she is strong and gives a quite delightful performance. 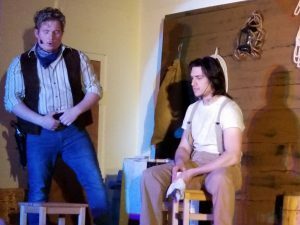 Lurvy, the Zuckerman farmhand, is humorously played by Gregory Areford, who is a perfect match of this role. He has a good stage presence and isn’t afraid to be a clown, which is a good attitude for any actor to have. 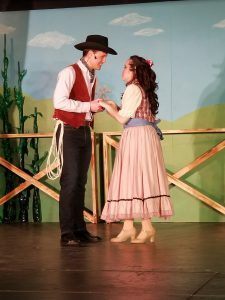 A standout in this piece is young Raychel Nguyen, who takes on the role of the loving and sensitive Fern, who saves Wilbur and raises him for the first few months of his life. Nguyen seemingly has some experience on stage and has a good technique allowing her to project well, speak naturally, and hit her marks. She gives a believable performance, embodying the character nicely. 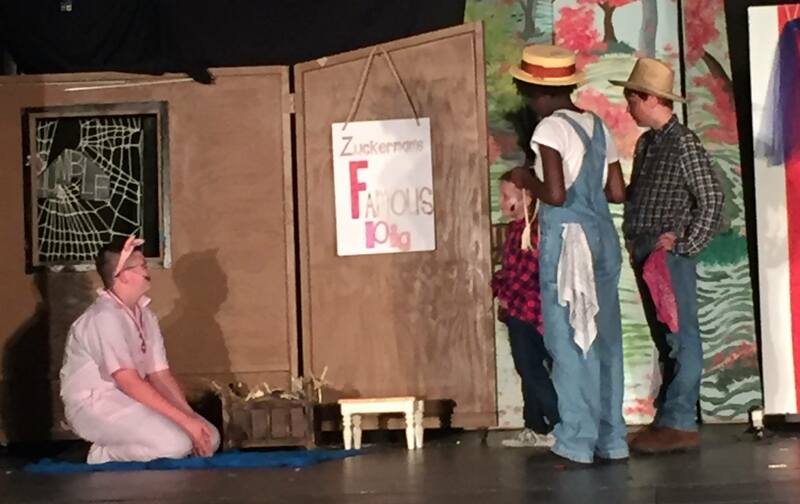 Final thought… Charlotte’s Web the Musical at Artistic Synergy of Baltimore is a sweet, fun re-telling of a childhood favorite that teaches important life lessons in way that doesn’t necessarily sugar-coat but explains in a way children will understand. 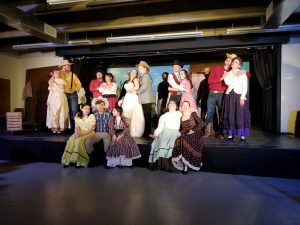 The cast is works hard and gives 100% effort to the production making for a charming evening of theatre. 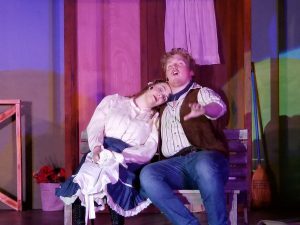 This is what I thought of Artistic Synergy of Baltimore’s production of Charlotte’s Web the Musical… What did you think? Please feel free to leave a comment! 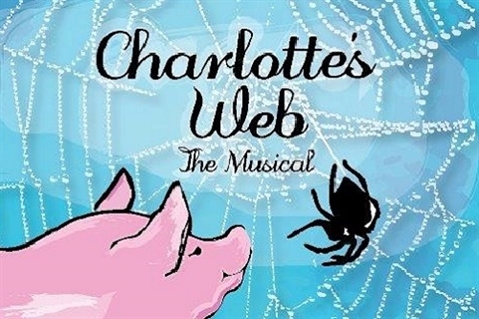 Charlotte’s Web the Musical will play through August 6 at Artistic Synergy of Baltimore, Prince of Peace Lutheran Church, 8212 Philadelphia Road, Baltimore, MD. For tickets, purchase them online.